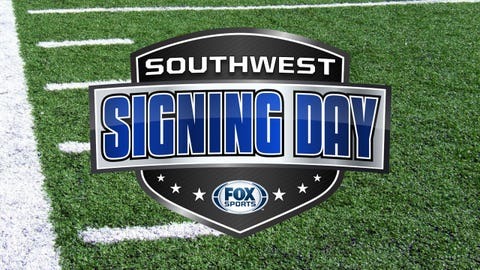 FOX Sports Southwest will deliver comprehensive coverage of National Signing Day with Southwest Signing Day. The live one-hour show will debut today at 5:00 p.m. CT, with a replay at 10:00 p.m. CT. Ric Renner will host and be joined by recruiting expert Randy Rodgers and Dave Campbell’s Texas Football managing editor Greg Tepper. They’ll review the day’s biggest storylines and analyze recruiting classes at schools in the Southwest region, including Baylor, Oklahoma, Oklahoma State, TCU, Texas and Texas Tech in the Big 12; Texas A&M and Arkansas in the SEC. In addition, reporters Jessica Coody, Erin Hartigan and Sarah Merrifield will deliver updates from around the Southwest with exclusive interviews from players and coaches. Southwest Signing Day will also be available on FOX Sports GO (FOXSportsGO.com), the live streaming platform that showcases all of FOX Sports’ events and studio programming through pay-TV providers.